← The First Evidence For String Theory? Over the last couple weeks I’ve been reading several popular or semi-popular books about particle physics. I thought I’d make a few comments about them here. The first one is called The Quantum Quark by Andrew Watson. It covers the Standard Model and its history, concentrating on quantum chromodynamics, the theory of the strong interaction. By limiting itself in this way, it is able to go into a much deeper, more detailed study of the theory than would otherwise be possible in a popular book. While avoiding the use of equations and trying to stick to as accessible a level as possible, the author manages to discuss a wide range of aspects of QCD not treated in any other book of this kind. These topics include a detailed description of jet phenomena in perturbative QCD, the behavior of quark structure functions (including their still mysterious spin dependence), the delta I=1/2 rule for non-leptonic weak decays, and many others. The book contains several amusing stories I hadn’t heard before, including the origin of the term “penguin diagram” to refer to a certain class of Feynman diagrams. Supposedly John Ellis and Melissa Franklin were playing darts one evening at CERN in 1977, and a bet was made that would require Ellis to somehow insert the word “penguin” in his next research paper if he lost. He did lose, but was having a lot of trouble figuring out how he would do this. Finally, “the answer came to him when one evening, leaving CERN, he dropped by to visit some friends where he smoked an illegal substance” (the only time he ever did that, I’m sure..). 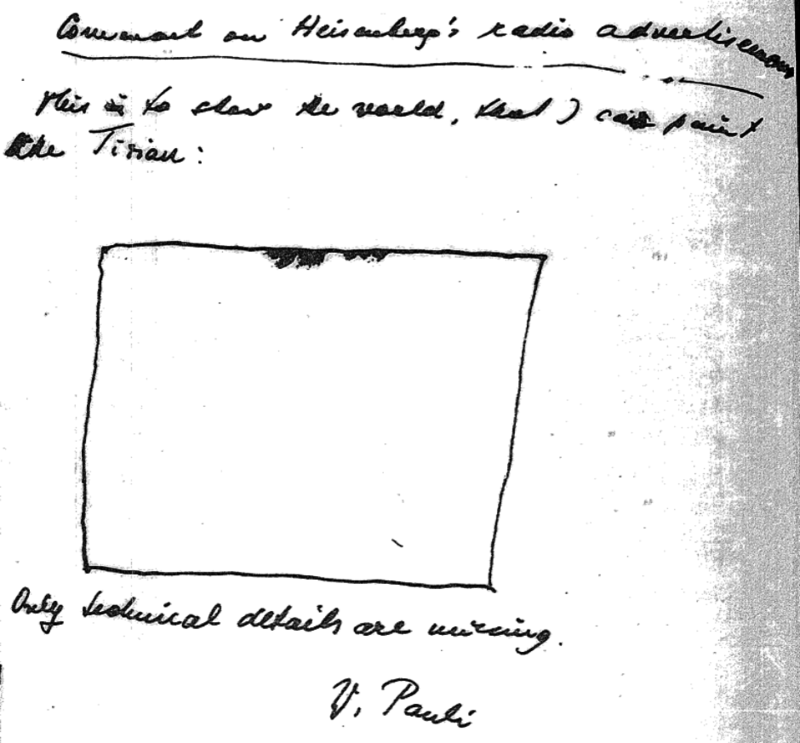 While working on his paper later that night “in a moment of revelation he saw that the diagrams looked like penguins”. I’d always wondered why these diagrams had been given that name, they never looked very much like penguins to me. But then again I never tried looking at them under the same conditions as Ellis. Witten makes an unusual appearance here, as Watson discusses Witten’s Ph.D. thesis, the topic of which was the use of asymptotic freedom to study the photon structure function using deep-inelastic photon-photon scattering. I agree that large portions of Zwiebach’s string theory book is at a level similar to David Griffiths’ “Introduction to Elementary Particles” book. My main complaint about Zwiebach’s book is that it mainly uses light cone quantization methods, and there is hardly any emphasis on other more elegant ways like conformal field theory and/or BRST. Also not much is mentioned of the superstring and supersymmetry. It seems like most of the book is largely looking at the bosonic string as a pedagogical exercise. On the surface, it would be a bit hard to justify subjects like supersymmetry and conformal field theory to a person who knows nothing about things such as the Klein-Gordon and Dirac equations. Also things like the path integral would seem like a mysterious object which came in “out of the blue”, to somebody who has only seen basic Lagrangian-Hamiltonian dynamics and the Schrodinger equation previously in undergraduate courses on classical and quantum mechanics respectively. I suppose if a student has seen the raising and lower operator formalism in the harmonic oscillator and angular momentum problems from a first course in quantum mechanics, supersymmetry could possibly be presented first in the form of SUSY quantum mechanics. On the first day of class, the path integral could in principle be presented in the context of the quantum harmonic oscillator problem. Griffiths’ particle physics book covers the basic ideas of the Klein-Gordon and Dirac equations. Arguably if students have already seen the plane wave and harmonic oscillator solutions to the Schrodinger equation along with the “ad hoc” spinor description of electrons in most undergrad quantum mechanics textbooks, the Klein-Gordon and Dirac equations shouldn’t be that much more of a stretch. Offhand I have not been able to think of an easy non-obscure way to present conformal field theory, to undergrads who have only seen basic quantum mechanics. Presenting other methods like BRST to undergrads, would be even harder to justify offhand. It seems like the idea of teaching string theory to undergrads has the same pedagogical hurdles as teaching quantum field theory to undergrads. I would guess that a year-long or two semester course sequence would be required to include the superstring at the undergraduate level. Offhand I don’t see it being feasible for a one semester undergraduate course covering the superstring, without doing the course at breakneck speed. It would be interesting to see what Lubos would do, if he ever decides to teach an undergrad course on string theory at Harvard. Actually, Barton’s Zweibach’s book on string theory (aimed at undergrads) String Theory: A Fiest Course (Cambridge Univ Press 2004) is quite a nice book. Even if you think string theory is not what it is cracked up to be (as I do), you might still get a pretty good flavor of the field, including string theory on particle physics. I would say it is very clearly written, and should be understandable by good undergraduates since he goes through a lot of the background material quite nicely. It is at “Griffiths’ level”, only better IMHO. The other thing, that Zweibach mentions in the Preface, is that it enables physics undergrads to get a more mature understanding of the role of mathematics and symmetries in physics, and the physics covered in undergard curriculum. I agree. On a slightly different note, what would really impress me would be a book on quantum field theory that is as easy and painless to read as David Griffiths’ “Introduction to Elementary Particles”. Or for that matter, a string theory book that is as easy and painless to read as Griffiths’ particle physics book would also be quite impressive. So far I have not come across any string theory books which are easy and painless to read. If Lubos Motl or anybody else wants a challenge, it would be to write a string theory book which is as easy and painless to read like Griffiths’ particle physics book, for which even a good freshman undergrad physics student would be able to read easily. Towards the end of my time in high school and during the summer before my freshman year of college (on the days when I didn’t go out partying), I slowly slogged my way through Feynman’s “Theory of Fundamental Processes” and “Quantum Electrodynamics” books, along with other books like Close’s “An Introduction to Quarks and Partons”, and Commin’s “Weak Interactions”, not knowing any better. (These books just happened to be at a local university library and I came across them by chance at the time). Besides reading the descriptive parts, I attempted to work out the calculations myself in a somewhat mindless blind manner following the “Feynman rules” as if they were a “recipe”. (One can imagine how “blind” and haphazard it would have been for somebody who only knew high school level physics and calculus). Nevertheless I somehow was able to reproduce most of the correct answers in the books, but was still baffled about why these “Feynman rules” were correct in the first place. I found out later the “rules” were from quantum field theory, and I attempted to read several field theory books at the library like Schweber’s “Introduction to Relativistic Quantum Field Theory” and Bjorken & Drell’s two books “Relativistic Quantum Mechanics” and “Relativistic Quantum Fields”. I pretty much got lost very quickly when I attempted to read through Bjorken & Drell’s “Relativistic Quantum Fields” and the later chapters of Schweber’s book which attempted to explain how the Feynman rules came from the quantum field theory formalism. (Bjorken & Drell’s “Relativistic Quantum Mechanics” was a bit easier to digest after mindless working out similar sorts of calculations previously). At the time I wished books like Griffiths’ “Introduction to Elementary Particles” existed. “The Key to the Universe” by Nigel Calder. Written in 1978 there was also a bbc series accompanying it. I really liked the way this book was written and presented. It had lots of feynman-like diagrams, and plenty of coloured diagrams when the chapters on the strong forces and quarks came along. It focuses mostly on the standard model and the things that happened up to 1978. I remember reading it in high school. I got a copy recently from a second hand book store. It is a bit dated now since a lot has happened since 1978 but still well worth a read. I still think one of the best layperson books on particle physics written. Many years ago I really liked the book “Introduction to Elementary Particles” by David Griffiths, for its easy readability. It was a lot easier to read than any other particle physics or quantum field theory books I’ve come across over the years. I don’t know if it would be a good introduction to particle physics for a non-physicist. If I had to choose a book for non-physicists, I really liked “The God Particle” by Leon Lederman. I always thought Lederman was a humorous speaker whenever he did a colloquium. There is a book similar in flavor by ‘t Hooft. The one noticeable thing about ‘tHooft’s book is the constant mentioning the contributions of some Dutch scientists. ‘t Hooft, of course, has the reputation of being (perhaps) the guy who did the most during his graduate studies (YM renormalizability, Y-M beta-function) than any other physicist in modern times. Seems like there was some tension between him and his advisor (Veltman) for some time; hopefully the Nobel Prize has dissipated that. The Veltman book is also a good introduction to the standard model. It has a lot of interesting short profiles of various physicists, often with Veltman’s typically provocative comments. How does Veltman’s ‘Facts and mysteries in elementary particle physics’ stand compared with these others? If nothing else its penultimate sentence celebrates the title of this blog; no prizes for guessing the topic under discussion. I saw the Shumm book in the store and only looked at it for a few minutes. Conceptually I very much agree with its point of view, which emphasizes the beauty of the structure of symmetries that determines the standard model. But I still like the Crease and Mann book better, by emphasizing the history and personalities involved it can be read with enjoyment by people with all sorts of backgrounds. Have you any comment on Deep Down Things by Bruce Shumm? The Crease and Mann book is by far the best popular book I know of about particle physics. Can’t recommend it too highly. I had heard the “penguin diagram” story. When I was a graduate student in Oxford (1981-1984) John Ellis would occasionally appear. I cannot rule out the possibility of substance abuse, as he looked (& probably still looks) like an ageing hippy. There was a bit of role reversal going on here: unless they had to dress smartly, the faculty would mostly be in jeans and sweatshirts & there would be more jackets being worn by students than faculty (I for one never liked wearing jeans, although I would draw the line at the unnecessary wearing of ties). I think that John Ellis and some of the faculty: in particular my supervisor Graham Ross & Chris Llewellyn Smith always saw themselves as the rebels, however much they pulled the strings (no pun intended).